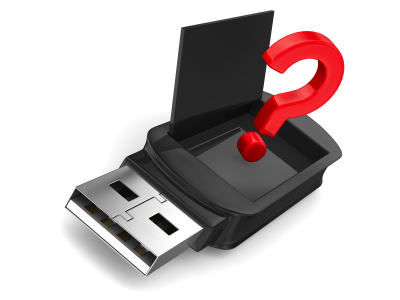 Answers to common business questions that everyone asks about security dongles. Below are questions often asked by companies considering hardware-based protection. How will using a hardware dongle impact my customers? If your customer is concerned about losing their dongle, alleviate their worries by enabling your application or system to run for a limited time, or for a specific number of uses, or enable only certain features to run, before a replacement key is received. This way, your customer doesn't experience down-time, yet your valuable intellectual property is still protected. In zero-failure or zero down-time environments, KEYLOK customers often issue redundant keys to their end-users, one production and one back-up device. When you consider that companies like Google and Netflix are now using hardware devices to protect their intellectual property, it is apparent that hardware-based security technology is being widely embraced, distributed and accepted. With KEYLOK dongles, cost is easily understood and calculated up-front. We don't tie our prices to existing or future sales revenue for your application or system. Nor do we charge royalties or recurring fees based on the number of units or value of the application you sell. We don't even charge yearly fees for Product Support; it's included for free. This makes determining your cost very simple and predictable. Your pay for the number of dongles that you sell with your software or system and a one-time modest license fee ($149 or $179). If your product doesn't sell, you don't purchase dongles. The revenue increases and recuperated losses associated with eliminating piracy and enforced license compliance will more than offset the cost of implementing KEYLOK's security devices. Contact us for specific product pricing. If you're investigating hardware-based licensing and security, there are some important factors to consider. Take a look at KEYLOK Advantages and KEYLOK Features to gain an overall understanding of dongles. In short, security dongles are an indisputably secure method to license and protect your application, embedded system or intelligent device. Dongles can be implemented quickly and offer maximum protection from software hackers. They're portable and can be transferred from one machine to another, without license violations, because access is tied directly to the dongle, not to the PC, laptop or tablet. Your customer is prevented from intentionally, or inadvertently, using your software without proper licensing. You will eliminate the complicated, time-consuming, costly and never ending task of continually updating and modifying your software code to stay ahead of hackers. These intelligent little devices ensure that you get paid for every copy of software used. How will security dongles impact Development and Support in my own organization? Is my Product Support staff going to be bombarded with end-user problems? How much time will it take my development staff to integrate this solution? Do we have the skills internally to do this? Can our dongle provider really provide the expertise and assistance to ensure a rapid and secure implementation? Do we have to become security dongle experts? These are all good questions and should be asked and answered. We recommend that you contact us to discuss these, and other, questions. But in the meantime: no, driverless dongles eliminate about 90% of Product Support calls; not much, KEYLOK dongles can often be implemented in an hour; yes, even non-technical staff use our inclusive sample code, with our help, to get applications protected; yes, we really do respond rapidly and competently to all of your questions and support requests; and no, we are the experts, you don't have to become one.